During a week in November, the first union chapters are founded. Elektro and Väg- och vatten are first, at 19.15 on Thursday, November 10. Thereafter, Arkitektur at 19.00 on November 14, Maskin at 19.15 and Bergs at 20.00 the day after. Last among them is Kemi, founded at 19.15, Wednesday, November 16. So it was that the chemistry chapter, Kemisektionen, was founded as the battle of the Somme, the largest battle on the Western Front during WWI, was raging between the Allies and the German empire. About a month later, the infamous Russian mystic Grigori Rasputin, was assassinated in St. Petersburg. Kemisektionen is one of six founding chapters at Tekniska Högskolans Studentkår (THS), the student union at KTH, and has a history spanning two world wars and two centuries. In 1927 KTH celebrated its 100th anniversary and the six original chapters, along with the newly founded shipbuilding chapter, Skeppsbyggnad, declared designer competitions for their banners and emblems. The banner of Kemisektionen, however, was not ready in time for the festivities; the chapter members did not like any of the designs. Thirty years later, professor Kullgren of the school of chemical science came upon an image of an old alchemical manuscript in a scientific journal. The manuscript had an illustration on the front depicting a winged, mythological bird known as a Salamander, clutching a chemical vessel. 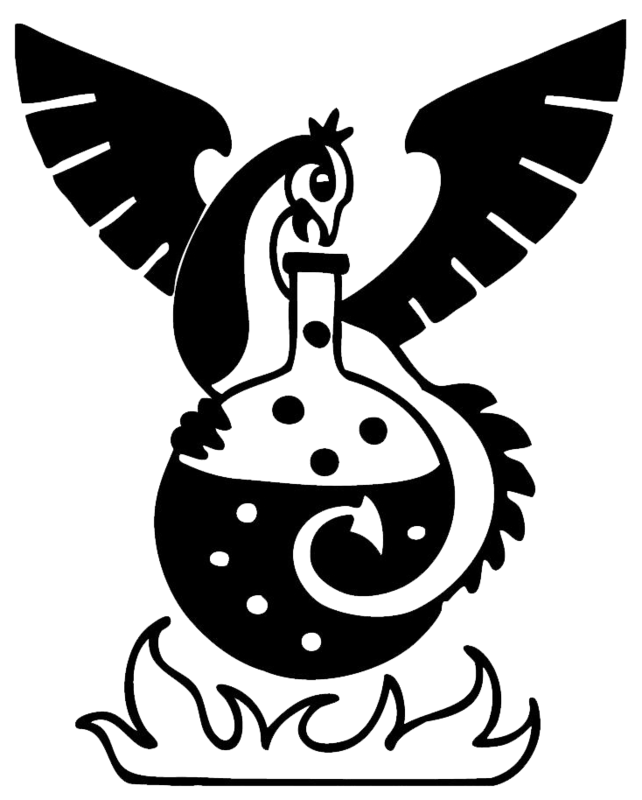 This illustration struck professor Kullgren as the perfect symbol for Kemisektionen, and after a deal of artistic optimization the Salamander, or “Kajan” as it is casually called, was wholeheartedly adopted as the chapter emblem in 1955. The alchemical manuscript with the Salamander has the title Veritas Hermatica Veritatem Quaerenti, and from that title was taken the motto of Kemisektionen: Veritas Hermetica. The manuscript is stored hermetically in the archives of the Vatican. In 1930, the union headquarters are inaugurated and quickly become a place where student culture and tradition are further developed. The particular proclivity for partying of Osquarulda (common name for teknologer, i.e. students at KTH) is not a modern development; in the years following the inauguration of the union headquarters, THS had severe disciplinary issues, first and foremost with the inappropriate behavior of Osquarulda in connection to gasque. One morning in April, a car in unspoiled condition is found sitting on a cairn in Liljansskogen. Passers-by are confounded by how the car got there, and the owner must go by train. It turns out that 15 students unpretentiously carried it there after a gasque at Kemisektionen. In 1939, WWII begins. This has serious effects on the student union and the chapters since many male students must go to war. The war ends in 1945, but about ten years later, however, a new inflammatory conflict has erupted, this time on the KTH campus, and Kemisektionen is in the eye of the storm. On Valborg (eng. Walpurgis Night) in 1956 Elektrosektionen instigates a revolution and takes over the union headquarters. The reason is that the union management has decided on chapter colors, and Kemisektionen was given the color yellow while Elektrosektionen got white. Yellow is the color of the electron, Elektrosektionen said, and complained angrily that they had already invested in a yellow songbook. During their occupation of the union headquarters, the news anchor Uno Stenholm was hired to declare the revolution from the speakers of the building. On the stage of the dining hall, a dummy of the president of the student union was executed while a so called revolutionary orchestra played pompous music. The chapter colors, in the end, were not changed and Kemisektionen got its golden yellow color. The revolution did, however, leave its mark. Elektrosektionen has its own calendar, starting on Valborg 1956. And the revolutionary orchestra did not disband when the revolution ended. Instead it continued performing and took the name Promenadorquestern, and can be heard and seen even today. The original colors of the revolutionary orchestra, yellow and black stripes, was an artful way of protesting the fate of the yellow color, and they have not been changed since that day. It is said history is written by the victor, and so it is prudent to view the provoking palette of Promenadorquestern as a souvenir of Kemisektionens decisive victory on Valborg in 1956. During the eighties, education in biotechnology was offered as a branch of the program in chemical technology. In more recent times, however, biotechnology is a separate MSc program, and a part of the chemistry chapter. For a long time, Kemisektionen had its headquarters, then known as K-pHiket, at Teknikringen 10. Today, we are housed in Dragskåpet at Teknikringen 36 B, operating with the same goals as over a hundred years ago: to ensure good quality of education and the time at KTH unforgettable.